Hungary, where I am today, has a long beekeeping history. Honey bees have been part of the ecology for thousands of years. Here, they are indigenous species whereas in the Americas (and Australia, New Zealand, and much of Asia), the European honey bee has immigrated to help with farm chores. Before 1535, there were no honey bees in North America. 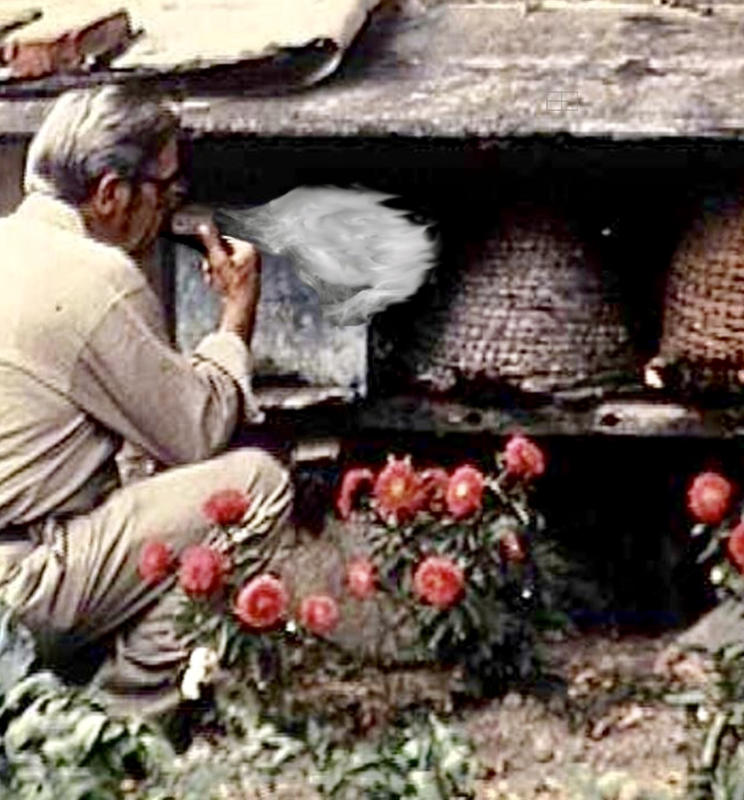 On the other hand, Europeans have kept bees in the Old World for thousands of years. In Europe, bees are an ancient and integral part of the environment and culture. Although honey bees are native, regional honey bees have local advocates. This brings the idea of indigenous bees to a more specialized level. 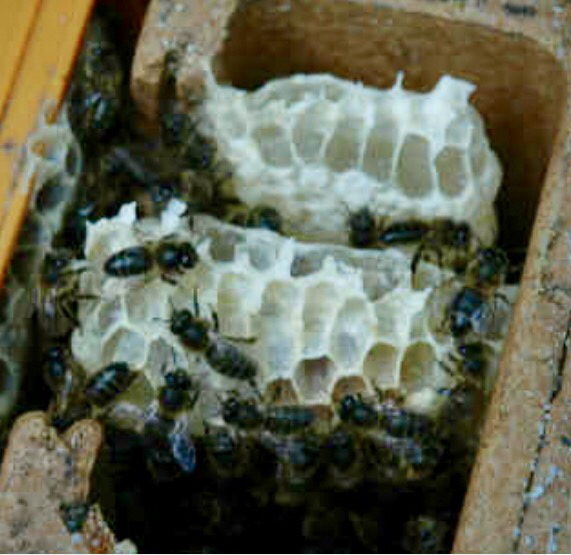 When I was in Ireland, I toured the Galtee queen breeding project – an earnest effort to replace the green isle’s Italian and mixed bee stock with indigenous ‘dark bees’ – Apis mellifera mellifera. The thought is that the European dark bee evolved to match the sometimes gloomy Irish climate and is best adapted to the locale. Within the indigenous gene pool, selection is made to reduce aggression and increase honey production. To your left is a photo which I took in Ireland. That’s a styro-insulated mating nuc. You can see that the bees are indeed ‘dark’. Searching in veins for a perfect bee. I’ve seen similar work in Central Europe where the Carniolan race (Apis mellifera carnica) has been recognized as local and superior. Near Budapest, I once toured a lab where technicians sat at stereo microscopes, counting veins on bee wings to determine racial origin of each specimen. I was told that by law, only Carniolans are permitted as bee stock in Hungary. If the specimen bee had the wrong number of veins, the technician told her manager who arranged a field visit to the errant apiary. I’m not sure if other races were eradicated or if the purity project was dropped, but that’s what I was told by the lab director years ago. Carniolans are definitely nice bees. They winter well and are notoriously docile. If one wishes to promote a ‘local’ bee then it’s great to have such a fine bug to endorse. 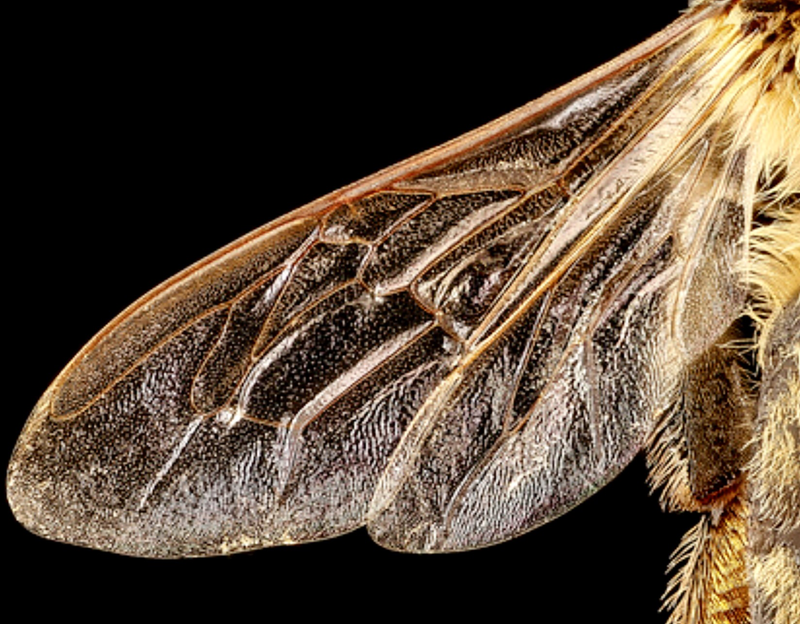 Folk legend and citizen scientists tell us that this bee is gentle because for 3,000 years people kept the ancestors of today’s Carniolans next to their doorways and gardens. Aggressive bees weren’t tolerated. Mean colonies were regularly eliminated, affecting the genes of the bees in a way which most farmers would appreciate. I’ll post more observations from my short holiday in this lovely land of honey bees in a few days. Meanwhile, here’s a picture of my father poking around some Carniolans in the 1980s. I think it would be hard to find hives like these around here anymore. His smoker was his pipe. Did I mention that these are among the gentlest honey bees in the world? This entry was posted in Bee Biology, Climate, Culture, or lack thereof, Ecology, Genetics, Science and tagged bee races, black bees, Carniolan honey bees, Galtee Queen Breeding, Hungary, Ireland. Bookmark the permalink.